At age 72, my beloved gran woke up with excruciating abdominal pain. The emergency medical technicians took her to the hospital emergency room, she was diagnosed with an abdominal aortic aneurysm, had surgery and died on the second day after surgery. Our entire family was grief stricken and have never gotten over her death. The doctor told us that aneurysms can be hereditary. I've had a brain, chest and abdominal scans. Gran was a diabetic and had an enlarged heart, but was taking medication. Get screened and take appropriate action. I have had an abdominal aortic aneurysm (AAA) for 15 years. Every year I have an ultrasound. Two years I had CT scans as well because the ultrasound indicated that the AAA had increased significantly. The CT scan revealed the AAA to be about 0.6 cm less. The AAA started at 2.1 and after 15 years it is 4.5 cm (4.3 2016, 4.4 2017). My surgeon says that a CT scan would reveal it to be much less. I am wondering what the chances are of it erupting in the next few years. In 2014 I went for MRI scan to check for a slip disc and they discovered I have a 3.4 cm infrarenal abdominal aortic aneurysm (AAA). The latest CT scan showed my AAA grew and is 4.5 cm now. I am discussing it with my endovascular surgeon for options; open cut or EVAR (endovascular aneurysm repair) through groin and stent graft. I am apprehensive about either method but something has to be done before it grows further and ruptures. I am a 66 year old male reasonably healthy; ex-smoker; with a mild myocardial infarction in 1999; on medication for high blood pressure and high cholesterol. Wish me good luck. I am a 58 year old male. I was having severe back pain and decided to go to urgent care on my way home from work. Good thing I did. While taking x-rays the pain got unbearable. The urgent care doctor had already given me something for pain but it wasn't working. He told the nurse to call 911 so I was taken to hospital by the paramedics. I was given very little chance for survival due to ruptured abdominal aortic aneurysm. My wife and family freaked out. So here I am 90 days later after having my second surgery 30 days ago, for bypass open heart. My surgeon and cardiologist call me the miracle man. I was a smoker for 20 years but went to the doctor every 6 months and was on cholesterol medicine and blood pressure medicine. So fortunate to be alive! I had back pain, stents in belly fixed the blood flow from the abdominal aortic aneurysm. But more than anything, getting blood flow back fixed lower back pain; who thought! I'm a 65 years old female. I do have a 3.5 abdominal aortic aneurysm. After reading all the comments, I came to fully understand that there are so many people that have this condition. I will be monitored every 6 months. I wish you all the best. Thanks to your comments I feel a lot better. In 2016 I was diagnosed with a 3.5 abdominal aortic aneurysm. I haven't been back to my cardiologist since then. I have a lot of indigestion and extreme trouble swallowing. I'm 51, with heart issues through my family. I have an abdominal aortic aneurysm which is 4.3, and the doctors are watching it. I am 57, and ex-smoker. I went into hospital for stomach pain, x-ray showed I had diverticulitis, but they noticed an abdominal aortic aneurysm 7.5cm. They cured the infection which took three weeks of antibiotics, and then I went in for surgery which took 5 hours. They cut me just under the breastbone down around the navel and continued down. The surgery went very well, very little blood loss, and they inserted a stent and a Dacron graft. No issues or problems later. Everything turned out perfect. I am eating healthier and exercising regularly. Everything is good! I had a pain in my side, and felt constipated. X-ray showed a twisted colon, they did a CT scan to confirm and up popped a 4.8 cm X 6.5 cm abdominal aortic aneurysm, with signs of being close to bursting. No twisted colon, which I find strange. They also found a lump on my kidney, 3.5 cm that they think caused the initial pain. Currently I am scheduled for a stent repair in a few days. I would suggest everyone should be screened after age 60 at least, it would save a lot of lives. I had a 5 centimeter AAA (abdominal aortic aneurysm) found accidently while undergoing a CT scan for other issues. I am a 54 years old woman ex-smoker. I was referred to a vascular surgeon who operated immediately as an open surgery. I had 60 staples, from below my breast bone to above my pubic bone. My recovery was quick, I was 7 days in hospital, home afterwards. After the second week, I worked from home for 2 weeks, then went back to work on the 4th week. Incision is healing but gets very hot and hard, my stomach is still swollen and I get funny pains from time to time. I am told it is the nerve endings healing. I am now 8 weeks post operation. Funny I have read where this is a very dangerous and major operation right up there with open heart surgery, but for some reason never realized how dangerous an operation it was before I had the operation. Good thing, otherwise I would of been a wreck! Thank goodness it is over and I am pretty much back to normal. I can't wait for all the swelling to subside and my scar to fade! I had a heart attack in 2010, widow maker, with successful stent. Six months later after several urinary tract infections, abdominal CT showed 3.7 abdominal aortic aneurysm. It has been followed with ultrasound and CTs regularly, now up to 4 cm. Problem is I have back pain, side pain, and abdominal pain from chronic diarrhea and diverticulosis so I never know what is causing my pain. My brother is in the hospital due to abdominal pain, doctors found out he has a ruptured heart valve. Abdominal aortic aneurism was formed because of the said condition. Doctors suggest to perform stent for the abdomen before the bypass operation of his heart but cannot perform because of the bacteria found in his stomach that should be healed first. Up to now he is still suffering the abdominal pain. The bacteria is still there even with the most effective antibiotic applied. We cannot perform surgery or stent up to now. He is just 39 years old and seeing him suffering up to now is painful. Our family already spent all our resources for him to heal but up to now he is still suffering and we don't not know how to end this problem. Our family is suffering from financial, emotional, mental and physical pain because of this problem. I hope some miracle will heal him and give him another chance. I had a pancreatitis attack and went for ultrasound and CT scan. They discovered I had a 43 cm aneurysm in my aorta and one in my left iliac. My abdominal aortic aneurysm grew to 5.4 cm and the vascular surgeon suggested it's time to proceed. All has gone well after the surgery with a couple of problems. Firstly I was constipated for a week, and secondly, when they pulled the catheter, I can no longer at this time, urinate standing up as there is no longer any direction for it to go except sideways. Also I still have terrible stomach cramps, like it feels like a full bladder. And, my right leg from the buttock down to my knee hurts terrible when I walk a very short distance; only when I walk, not sitting or sleeping. I had an abdominal aortic aneurysm (AAA) two years ago and had surgery done with the mesh insert. My first symptoms were, when I stood up I would feel like electrical pulses were running down my legs. I went to the hospital and they noticed my baby toe on the left side was black. I was admitted to ICU for 15 days then went to another hospital where I received my surgery. Now, I am in considerable pain (7 on the scale) every day. I live in my bed and suffer terribly. My doctors seem to just give me more pain medication. I am at my wits' end. I am 62 years old and I am begging for help. I was diagnosed on 6/28 with 4 large abdominal aortic aneurysms (AAAs) - one nearly 7 cm on the descending aorta, just above the iliac junction, one on the right iliac at 6.5 cm, and two on the left at 4 cm each. All found during a routine physical. By all odds, I should be dead. At 52, this is very rare - only explanation is I do exhibit some marfanoid features (sunken chest, tall, long wingspan). I had repair surgery on 7/1; lost 10 pints of blood on the table. Fortunately I was in terrific hands. I was closed up on 7/3 and discharged 8 days later. I've been recovering at home and am getting a bit stronger every day. I'm now nagging other family members to get scanned - I want to be the last one in the family to go through this on an emergency basis. I am 53 years old and was diagnosed in 2012 as having infra renal abdominal aortic aneurysm (AAA) accidentally while undergoing USG (ultrasonography) of abdomen. At that time the size was 3.9 cm. I was on constant follow up. My CT angiography revealed it to be 4.1 cm. USG does not give the exact size of aneurysm, it is CT angiogram which gives exact size. Since then for two years I am getting my USG of abdomen every 6 months, in July 2012 USG showed it to be 4.8 cm. And rate of increase per year was also more, i.e., 7 mm. Hence CT angiography was done and it was found to be 5.6 x 5.8 cm. I got operated with planned open repair of AAA and was recovering in ICUS. After shifting to the ward I noticed my left hand is weakened and I'm unable to lift it. Doctors say it was not a stroke, only injury to nerves in the arm due to prolonged surgery and improper positions of arm during operation. Now I am recovering well and getting physiotherapy for left hand. My husband went in for surgery April 10, after abdominal aortic aneurysm (AAA) was found on a scan. It was 6.7 cm, and other than that he was in average health for 66 years old, but he did smoke. After surgery he was sent to 2 more hospitals' ICU and spent 75 more days in ICU before I was able to get him home, where he passed a few short hours later. From the operation he developed kidney failure, atrial fibrillation, low blood pressure, poor white blood count, and infections after infections. After about 1 month it was found that a large part of his colon was dead and had to be cut out and a colostomy bag put in. His stomach stopped working, he was unable to take any food other than by vein, no tube in nose would work, food would just back up. When they found the colon damage, by that time it had been leaking inside him and he was septic, then they found his pancreas was also leaking the digestive fluids into his body. He had to have 3 drains to try and drain fluids, his gallbladder was damaged and liver was starting to damage due to pancreas and gallbladder. He also had a tracheostomy and was on ventilator, plus I'm sure some things I forgot to list. All of this I was told could be a result of the AAA operation and was a risk he took in having operation, but believe me, if we had known all of this… I just can't believe all this was from AAA. I"m a 26 year old female in perfect health. During a routine exam my doctor found an abdominal aortic aneurysm (AAA). I do not smoke, do not have high blood pressure or cholesterol, no one in my family that I'm aware of has ever had an AAA. I have been active in every sport there is. I have three kids and I'm not overweight. I'm 5 ft. 3, 115 lb. This just goes to show that this does not discriminate. Good luck to you all. Mine was found very early, only at 3.1 cm. My dear dad had a routine screening for this (abdominal aortic aneurysm) in July 2013 and they discovered that he had an aneurysm 5cm in size. We live on a remote island and he travelled back and forth to the mainland several times over the next few months to meet with specialists and to have heart and lung tests. Eventually in November they decided he was far enough for the operation but still did not issue him with a date, by that time the aneurysm had grown to 6.5cm. He travelled back home to wait for a date for his operation but passed away a few days later. He was 66 years old and my mum was with him at the end. He was sick for three days before he died and the doctor who had seen him on the day of his death gave him anti sickness tablets instead if treating his aneurysm. He woke in pain during the night and asked my mum to call 999. He walked downstairs to wait for the ambulance but didn't make it to the local hospital in time, there was even an air ambulance waiting to take him to a bigger hospital but it was all too late. My 77 year old aunt recently had surgery for an AAA (abdominal aortic aneurysm) that was 9.9 cm. The doctor told her that if she had any close blood relatives they should be tested for an aneurysm because they could be hereditary. My mom, who is her twin sister, was tested and found that she also had one that is 6 cm. in size. As a result of her diagnosis, I decided to be tested. I was found to also have an aneurysm that is 3.9 cm. I am a 59 year old male who never smoked, no high blood pressure, no high cholesterol who walked about 5 miles a day for most of my life. If you have a relative who has an AAA, I urge you to be checked. I am 47 and before June 4, 2013 was in good health. I walked 4 miles twice a day, could have lost a few pounds mostly for vanity. I got home after work, took a long walk with my dog, bent over to take off his leash and bam! It felt like I was shot in the back. I woke up two days later and was told I died, apparently my aorta burst 21 inches! My doctor didn't think I could be saved but tried and succeeded. He said when he did blood transfusion I came to life, my recovery was miraculous, I'm so incredibly grateful. I'm now at a point where I'm not sure what I can and can't do. My doctors say I'll never drive a truck again, I can't do anything stressful or strenuous, basically not much. They say it might be a year or permanent. My doctors said 99.9% of people that have this die. One month ago, my father, 55, complained of back and stomach pains. He began yelling out and turned white saying he couldn't breathe. We called 911 and he was rushed to the ER. We thought he was having a heart attack because he has suffered these before. A CT scan revealed that he had ruptured an unknown abdominal aortic aneurysm and would need emergency surgery. The vascular surgeon arrived and advised us to say goodbye. He gave us only 10 percent chance of survival saying he would try his best to save my dad, but it didn't look good. Eleven hours of straight surgery later and dad was wheeled into ICU. This began a 24 hour vigil because soon after his kidneys failed. Two days later we were told his legs would need amputation as the surgeon performed an operation, cutting huge gaps into his legs to drain fluid from them so they could get circulation. Parts of his digestive tract were damaged and removed. Every nurse, every doctor looked at me and my family with sorrowful eyes saying he didn't look good. It has now been one month. Dad is in physical therapy. He took 60 steps with a walker today. He urinated 200cc's. The doctors were amazed. His vascular surgeon in particular is an angel on earth. NEVER GIVE UP HOPE! And tell everyone young and old about AAA - its a silent killer! I experienced a bulge above and underneath my navel which grew to cover both sides of the navel as well. With antibiotics, the sides relaxed but top and bottom are still swollen. My navel did not pop. I don't think it is a belly bottom hernia. 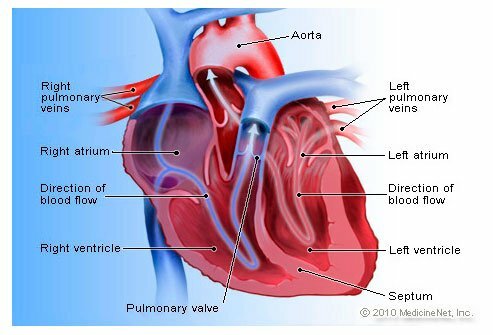 I do have a history of a hardened aorta where the right heart chamber is bigger than the left. My left ventricle is also leaking blood. Symptoms: Very feverish and uncomfortable especially when climbing stairs. I experience semi-impotency (perhaps due to high blood pressure and medicines). It feels as if I have been kicked in stomach from time to time. Sleeplessness, urinating often, a lot of water in system, swollen feet, etc. I just want to try and make everybody as aware of this condition as I can! I am a 27-year-old female and am a very healthy and active individual. I went to the doctor with abdominal and back pain just last week because I could not take the pain anymore. He felt my abdomen and sent me off to get an ultrasound. He called me back into his office two days later and explained to me that I have an abdominal aortic aneurysm and that they were sending me to see a specialist. I was in complete shock! Had I not gone in for the pain, and if it had just gone away on its own, I would have had no idea! I'm still completely shocked at the news. As rare as it is that I do have it at this age, it still can happen. I encourage everybody to go get themselves checked out! I am a 67-year-old male with a family history of high cholesterol and have had heart problems since I was in my early 40s. I have had three coronary bypass surgeries, and I suffered one heart attack about seven years ago. I also had atrial fibrillation about 10 years ago and had an ablation to resolve the problem. With all of my heart problems, I have been on Statins and Niacin for my cholesterol since my 40s. I am also taking Beta Blockers, although I never did have high blood pressure. Seven years ago during a routine medical exam, my cardiologist commented that I had a "pulsating abdominal aorta." This did not mean much to me at the time, but over the next several years, he continued to check and measure in the area of the aorta on my abdomen. About three years ago, I had a CT scan of my pelvis and abdomen done because I had a high reading on a PSA test. It turned out that the high PSA was caused by a bladder infection, but it also highlighted the aortic aneurysm and gave a reading of 4.5 cm. My doctors informed me that they would monitor the aneurysm with regular CT scans every six months. I have been getting these scans since then and the aneurysm is stable. My last exam this month showed it was 4.4 to 4.7 cm. My cardiologists say that I am a candidate for a stent if and when the aneurysm enlarges to 5.0 cm or larger. I recommend a scan for everyone who is at risk for an aneurysm. I have a 5 cm abdominal aortic aneurysm and I am only 46 years old. I am a healthy person who enjoys a healthy life style to the full. I don't smoke or lift heavy things. Not sure what to do now. I am feeling vulnerable and frightened. My husband had his abdominal aortic aneurysm in 2013, he is fine now, and everything went fine. His only big problem is he has a huge bulge on that side of his stomach that does not hurt, but he is so embarrassed about. He is alive and healthy, but this really upsets him. My sister-in-law has 2 abdominal aortic aneurysms. One is 5.0 cm now. She has been monitored for the last 2 years. She was referred by her vascular doctor to a Medical Center. He told her she is at high risk for surgery. She is a smoker, and has high blood pressure and cholesterol. He told her this past Friday that her arteries were too narrow in her legs to do the stent surgery. He said he would get with his other doctors next week about her prognosis. He told her if she didn't hear back from him, that he would do another CT scan in six months. I love my sister-in-law and none of us want to lose her. I just got out of ICU with abdominal aortic aneurysm (AAA) this past week. It was discovered when I checked myself into the emergency room (ER) with a stomachache. I am also in perfect health and a marathon runner. Now the doctors told me no more running or heavy lifting or any extreme exercise. I'm so afraid to go back to the gym or do anything. I don't want this condition taking over my active life. I fell 10 feet from the top of a folding attic ladder in July 2012. I ended up with a # 9 fractured rib at that time. During the course up until the present day, I encountered foot numbness and neuropathy pain and last September an MRI found an abdominal aortic aneurysm 4.5 cm in size. The Veteran Affairs won't touch it until it reaches 5.0. I'm wondering if there is anything that would reduce this without any surgery, such as C2O2. I am 80 years old in fairly good shape. My brother died of cancer at pancreas. I was told siblings can have the same problem. I asked for a CT scan and the results: pancreas was ok but they found an abdominal aorta aneurism and other 2 aneurisms at the iliac (right and left). Now the abdominal aorta aneurysm has reached 4cm 6 mm. My husband, a 40-year-old smoker with close family history of abdominal aortic aneurysm, went for his yearly physical this spring. Because he is thin, the doctor felt what he thought might have abdominal aortic aneurysm and referred him to a vascular surgeon. Sure enough, CT scan revealed a 6 cm aneurysm too close to the renal arteries to allow a stent. He was scheduled for open chest surgery, but two days before that, we got a call from his surgeon saying that my husband was a good candidate for a fenestrated stent that had recently been approved by the FDA. The surgeon set up an appointment with a university teaching hospital physician and my husband had the surgery 5 weeks later. The surgery couldn't have gone better (out of the hospital in 2 days), but he is experiencing fluctuating blood pressure and extreme tiredness. I guess that's to be expected after a 6-hour surgery. Two days ago, my dad complained of stomach and abdominal pain. He thought it was just some gas problem and went to bed. By morning, the pain developed rapidly and he had fits. We rushed him to the hospital, and they did a CT scan. He was diagnosed with an abdominal aorta aneurysm rupture. He went through an operation immediately. The doctor broke our heart saying that he had 10% chance of because he had a cardiac arrest during the operation. We were devastated. My dad is only 56, and he was just playing with my 2-year-old son before the pain started. It has been two days since then. He is smiling at us and says he will make it. I am a 46 year old female with a long history of heart problems. I have had a double valve replacement and have a 'variant' form of Marfans. I am under the watchful eye of a fantastic team of vascular specialists. For a good while now, my aneurysm measured 5.1cm. Yesterday it was measured at 5.4. My surgeon has previously told me that because of my medical history, he'd prefer to wait until it reaches 6cm. But quite honestly the stress is absolutely awful. The thought of it just 'popping' is horrendous given the fact that I'd probably not even make it to the hospital! I have a 14 year old son and to say I'm worried is an understatement. I just turned 40 and have a congenital heart disorder - a bicuspid aortic valve. I am being followed by a cardiologist. On my last visit they decided to do an ultrasound of the abdomen and that is when it was determined that I had an AAA measuring 3.0cm. The cardiologist stated that he was not overly concerned. I too suffer from lower back pain but I thought the condition was related to exercise or work. I will keep monitoring both conditions carefully. I am a 65-year-old woman in excellent health except for a problem with my lower spine. It was during an MRI for that condition that my abdominal aortic aneurysm (AAA) was discovered by accident. It was only 3.4 cm, so I was put on a six-month watch. Two very nervous years later, the aneurysm passed the 5 cm mark and successful surgery was performed. I am writing because I just read about the risk of AAA in siblings of AAA patients. I wasn't told of this, and I'm very sure my two sisters are not aware of it either. Of course, I'm in the process of notifying them, but I wanted to let others know of this as well. If you have a sibling who has had an AAA, then you should be screened, especially if you're over the age of 60. This is a very frightening condition, and I'm glad to be over it! My husband died this year due to a ruptured abdominal aortic aneurysm. During the night, he complained of a pain in his lower abdomen. At about midnight, he collapsed and turned yellow. I called 911, and he was transported to our local hospital where I was told his condition was very grave. The staff was very good to me and worked tirelessly on him, kept his heart pumping, and tried to ease his pain with morphine. Our local hospital did not have a vascular surgeon on hand so we were flown to the city by helicopter. The paramedics on the helicopter were giving him CPR practically the whole way down, about 25 minutes. He died very shortly after arriving, at 4:40 am. It was a total shock as he did not have any prior symptoms. However, he was being monitored for high blood pressure and was taking cholesterol medications. He was always fighting an overweight problem. He was 68. If you are over 65, have yourself screened, it may save your life. I still can't believe it happened so quickly. My father recently died from aortic aneurysm. He had no history and no symptoms; he developed pain in his chest and back area. We called 911 he was transported to the local hospital where he passed away within 45 minutes of his first pain. I recommend everyone to be checked for this condition. He never was sick, did not take any medication and lived his life to the fullest until the first pain. He had no symptoms. This was a complete shock to us. Please make sure to be checked for this. This should be included in all history and tests be taken to determine if a person has this. It could save your life. I am a 73-year-old male and my aneurysm was discovered in 1999 by accident. I have had an ultrasound or MRI every six months since. In March 2008, almost 10 years later, it finally passed 5 cm and I was referred to UCLA Medical Center for repair. In June 2008, I received the stent procedure whereby they enter the artery through the groin area and implant a stent to support the weak spot. I was in the hospital one day and had several days of discomfort but now everything seems alright. My blood pressure has now dropped, and I use only about 25% of the medication I used to take. I am looking forward to a long and healthy life. Mine appears to be genetic because I had a brother that also had one. I was just diagnosed with a 4 cm abdominal aortic aneurism. I wonder if weight lifting is contraindicated. My father just passed away on January 12, 2014 from this. He had cancer for 4 1/2 years and was deteriorating anyway. I talked to him Thursday morning and he sounded weak. He had been drinking in the past week so I assumed he was drunk since he had terminal cancer and was trying to deal with it. I kept calling later and could not get an answer. I finally sent the police on a Saturday. The coroner said he died of a gastro intestinal aneurysm. I saw where he threw up blood. I cannot bear the thought of him suffering. My father had surgery on his aorta that developed an aneurysm. His surgeon said his aneurysm was larger than they thought. It took them longer to remove it. When we visited him in the ICU his whole body and face was swollen and his eyes were bulging. Since surgery for my aortic aneurysm I no longer ejaculate. I take care of a heart patient with blockage. Too risky to operate on anymore. He is 68. He was on external counterpulsation therapy. Four weeks into therapy developed a side pain...after long investigative process and neglect of hospital emergency doctors who told him it was symptoms of something else. So aside from that the question is if the counterpulsation therapy caused this finding of an abdominal aortic aneurysm size 4.4. He stopped the counterpulsation but now has a different problem. Don't know if it was already ballooned or not. I am a 66-yearr-old male of Caucasian origin. Until Feb. 8, 2008, I had no inkling of a growing AAA. But mid-morning that Friday, I suddenly felt sick to my stomach and vomited. Then I began blacking out. My wife called an ambulance. I was diagnosed properly as having an AAA, and a vascular surgeon and his team saved my life. Now I'm pretty much back to normal. For years, walking has been my main way to exercise. I am 68 years of age,male and in good health and was working till I suffered severe abdominal and lower back pain. On diagnosis I learned that I had abdominal aortic aneurysm,and was advised to undergo surgery immediately as the swelling was 5.5cms. I was a smoker for nearly 50 years. The surgery lasted for about four hours. Today, two years after the surgery, I am normal in most respects and go about leading a retired life. After having a CT scan done for a back problem my internist called me three weeks later and said we have a problem. An abdominal aortic aneurysm was found in my lower abdominal aorta. Further tests showed that it was 4.2 centimeters. I was told by the specialist I saw that it would need monitoring in twelve months to see if it had grown. Needless to say, I was petrified to have to wait so long. I had my first two heart attacks at age 40, four by-passes done in 1982, and another three done in 1984. They failed in the first month and am on my second ICD. 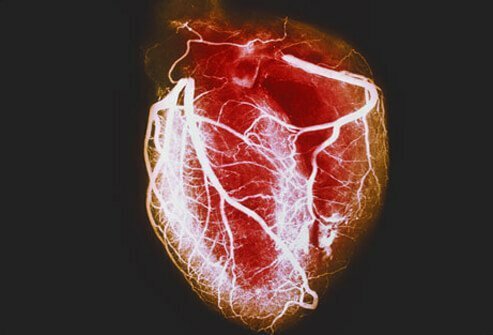 During angioplasty in 1994 on a twelve-year-old by-pass, the artery disintegrated and killed the muscle on the right side of my heart and my heart function is now at 20 percent. I feel as though I have a time bomb ticking in my body and it is very frightening. In 1998 my father had a dissecting aortic arch aneurysm. He was given a 30% survival rate, and lives. Ten years later he has endured repair surgery for aortic arch graft, two pacemakers (which is doing 98/100% of his hearts work), arrhythmia requiring three scheduled defibrillation treatments, abdominal aortic aneurysm repair below the renal region, and two aneurysms behind each of his knees. The post op affects ranged from vocal cord paralysis to limited kidney function, slight loss of mental capacity, as in short term memory and comprehension. And we considered ourselves to be of the lucky ones coming upon the 10 year anniversary of the ruptured aneurysm that started it all. My dads quality of life has been amazingly good despite the surgeries, procedures, endless follow up and maintenance....and the waiting, while each of the aneurysms grew big enough to repair. About a month ago he became nauseous and the doctor performed a CT scan to rule out a bowel obstruction and noted and enlargement of the aorta, another aneurysm was found between the arch repair and the lower abdominal repair. This seems to be the only remaining natural aorta, and the aneurysm is about 7 to 8 cm at this time. A full scan of his aorta is set for the end of this month, and an angiogram to see that his heart is healthy enough for the surgery. Providing he is candidate for the operation, his fifth aneurysm repair will be performed. My aortic aneurysm started with sudden numbness in both legs and severe pain in my abdomen and back. The operation consisted of five bypasses in my abdomen. After the operation, I was told it would take six months for things to settle back. It's now 15 months and I'm still not 100%. I have difficulty walking distances as pain starts again in my legs. I now use a walking stick. My 72 year old mother had emergency surgery and was given a less than 5% chance of survival. She did pull through, however, she was given medicine that gave her a rash over her entire body and was kept unconscious for her own well being, 3 weeks later she needed another emergency surgery because the stent was defective. She suffered another 5 weeks until finally passing away. Her only symptom was a lower back ache the night prior. If I had known how much she would have suffered, I never would have allowed the surgery. The local hospital and doctor was a joke, even the nurses told us to move her once she got stronger to the State hospital, but unfortunately she never was. My 55 year old brother died suddenly after seeing doctor after doctor and having multiple tests done for abdominal pain. He was told the pain was in his head. I suspect it was in his aorta. I think I am suffering from Abdominal Aortic Aneurysm, but I do not know where to go to for help. My lower back feels very tired every time. I have been like that since November. Just had an abdominal aortic aneurysm repaired. This is the fourth aneurysm I have had, what are the chances of my getting a fifth. The first was a ruptured brain aneurysm, the second and third were on my right lung. This is a silent killer. Caught mine by accident on an MRI of my stomach. I had the stent done and was out of hospital next day. Had three MRI 's since then and all is well. Please, if you're over sixty have your self checked out. There is a genetic link to this (perhaps not always). My uncle was being treated for something else and the doctors found the beginnings of an abdominal aortic aneurysm. They repaired it and had him tell all of his brothers to get checked for it. My stubborn dad didn't. He "hated doctors" and didn't trust them. He died a very painful death from this on Easter Sunday about six years ago. Please, if someone in your family has had this: Get checked out!